Ha ha! love the Hollies! Great pic! Your eye for design is only surpassed by your wit and charm! Nice one Krista! Aaaaawwwwwww!!! It is both poignant and tender. Your boys are so gentle!!! And what wonderful brothers!!! You are blessed. This illustration is wonderful. Just goosebumps all over. Oh, my goodness, what a sweet brother! 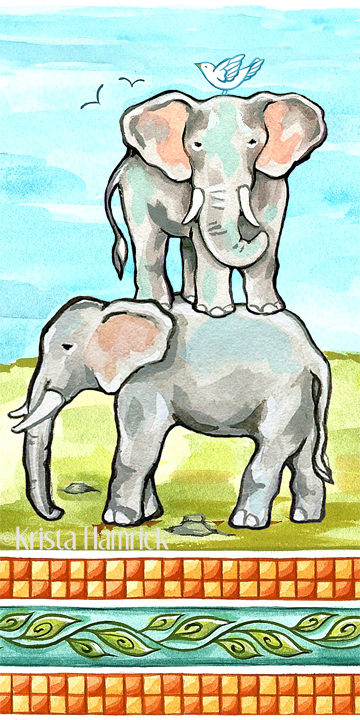 Love the illustration Krista. I know you are glad to have them home.